Yesterday, we had a big sale at the nursery where i have been working this spring www.chestnutherbs.com. Juliet grows a lot of special plants that hardly anyone else has. She has a real focus on medicinals. Juliet has scoured the materia medicas of the world to offer our community over 100 types of plants both native and introduced from sun loving to shade. She also runs a school teaching people the uses of the plants that she grows and wildcrafts. Tuesday i taught for Corey Pine Shane www.blueridgeschool.org covering much of the same material that is offered in the class here. We basically looked at plant evolution through geological history. We also covered flower and leaf form (morphology) and how plants are grouped scientifically. Due to the injury of a friend i have been working temporarily as a gardener with my friend Elly. Elly is in her 80’s and is a dear mentor to me. She has had an incredible array of local people work for her over the years. Most folks have come from Earthaven Ecovillage www.earthaven.org that is nearby. Her gardens are abundant and well established from decades of organic treatment and care. She focuses the flowers right around the house and then has a separate vegetable garden and orchard. Around Asheville and in Elly’s garden the vegetable work is in full swing. The Brassicas of spring (Kale, Collards, Tatsoi, Turnips, Radishes etc.) and other roots and greens are ready for harvest and it is a safe time to plant frost sensitive crops like Tomatoes (Solanum lycopersicum), Peppers (Capsicum spp. ), Corn (Zea mays), Beans (Phaseolus), and Squash (Cucurbita spp.). This will mark the 6th year that i have helped provide flowers for stage of the Warren Wilson graduation. All the plants for the arrangements came from the WWC campus. Of the over forty species some perennial favorites include Smoke Tree (Cotinus obovatus), Blanket Flower (Gaillardia), Shasta Daisy (Leucanthemum vulgare), Azaleas (Rhododendron spp. ), Iris (Iris), Lupine (Lupinus spp. ), Virginia Sweetspire (Itea virginica) and Money Plant (Lunaria sp.). Last weekend was also the LEAF festival. i was fortunate for the fourth time to lead a plant walk in exchange for entry. Over 20 people came out at 10:15 on Saturday of the festival. We covered around 15 plants including their identification and basic ethnobotanical situation. Some notable ones included the flowering Carolina Allspice (Calycanthus floridus), Spicebush (Lindera benzoin), Sassafras (Sassafras albidum), Tulip tree (Liriodendron tulipifera), Southern Nodding Trillium (Trillium rugelii) and Solomon’s Plume ( Maianthemum racemosum). Currently my folks are visiting from the Netherlands and we have had several good opportunities to get out in nature. At the botanical gardens in Asheville the poisonous but gorgeous Woodland Pinkroot (Spigelia marilandica) is really putting on a show. Too bad, that according to head gardener Jay the Pinkroot is apparently hard to grow. My favorite flower of the day in the gardens was the Beard Tongue (Penstemon smallii). The Penstemon genus is known for their stunning blooms. However, they are more of a western US plant. The genus contains literally hundreds of species of which only a few live in the east most of which are threatened or endangered. Seems like these plants have great potential for a native landscape conservation situation. We also visited some lovely waterfalls almost three years exactly after i had been there with Frank Cook….Frank’s legacy lives on in so many ways and i hope to do a class at this special place as we had discussed on our last visit. A big recent botanical highlight of my folks trip was a hike at the perennially popular Graveyard Fields on the Blue Ridge Parkway where the gorgeous Painted Trillium (Trillium undulatum) are prolifically in bloom. The evolution of plants covered in the next few pages can verge from fascinating to overwhelming. Can anybody really conceive of what 300 million years looks like? Yet we are burning in 300 years petrochemical products that were generated millions of years ago by the deposition of ancient huge Horsetails (Equisetum spp. ), Ferns, and Wolfpaws (Lycopodium spp). 300 million and 300 share the same denomination yet the order of magnitude difference is almost beyond human conception. One potentially important lesson is that some plant groups have significantly more history, tenacity and adaptive ability on this earth than others. We are on the verge of the 6th great extinction. The vast majority of everything that has ever lived has already perished most recently in the last great extinction 65 million years ago. We might have a lot to learn from some of the ancient beings that have survived so much. After the botany overview most people tend to skip over the single celled plants, lichens, ancient non vascular spore plants (Mosses, Hornworts and Liverworts) and vascular spore plants (Horsetails, Club Moss, Ferns). If anyone is interested in going deeper with Lichens, Mosses, Liverworts or Hornworts please tell me and i will get you in touch with good friend and teacher Luke Cannon and/or continue the conversation one on one. Conifers represent a very accessible group to approach. Only 630 total species have been described in the whole world (Groombridge & Jenkins, 2002, p. 236). However, breeders have developed many varieties with dramatic results in increased diversity. Most places in the temperate world have less than ten species of native conifers. 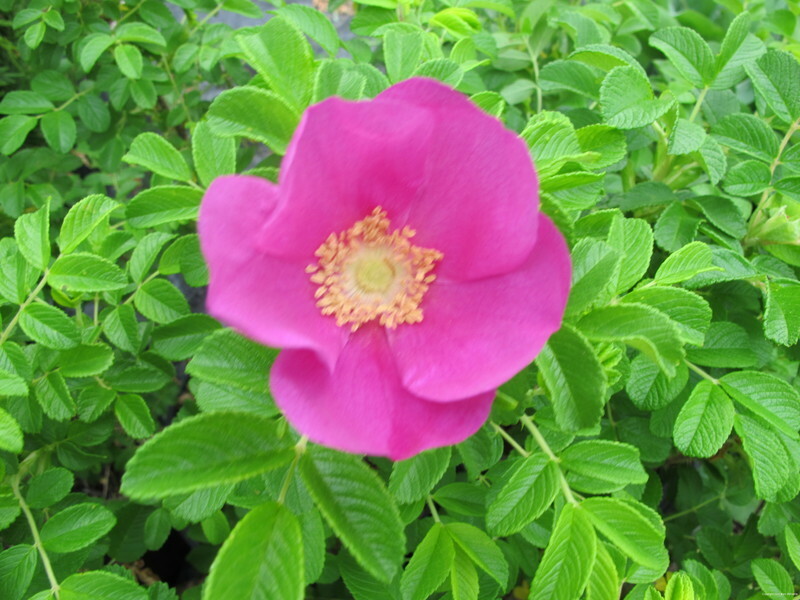 Landscape varieties are often easy to identify to genus, though to species can be difficult. Conifers are much older than flowering plants. Their range has also been much diminished from a former wider distribution. They tend to live in harsher conditions than the flowering trees as well. The flowering plants are relatively young compared to the other plant groups. Yet as can be seen on page 13 of Botany in a Day they contain the lion’s share of species now growing on the planet (Elpel, 2004). Therefore they will be the main focus of our studies this year. Elpel points out a couple other very useful resources for this exploration of the plant world Wildflowers of North America by Frank Venning (1984) and Plant Identification Terminology by James G. Harris (2001). Consider purchasing these books as well if you are able. Learning terminology is an incremental process. Flash cards help some. Ultimately some form of repetition will be necessary to cement certain words into your vocabulary. One bonus is that by learning many of these words you may better understand the roots of romance languages. You can thereby learn Spanish, Italian, French and Portuguese easier and may do better on the GRE as well if that is of interest. On page 12 one can see a way to conceptualize how plants fit into the greater classification of other biological organisms. The use of domains has overtaken kingdoms as the ultimate level of classification. The main point of this for me is how humbling it is to be a small part of one domain while seeing that organisms we commonly lump together as microbes have two whole domains to themselves. For the next class we will cover the pages 14-24 which describe the two major classes of flowering plants and patterns of seven major plant families of the world. Elpel, T. J. (2004). Botany in a Day:The Patterns Method of Plant Identification (5th ed.). Pony, MT: HOPS Press.